Horizons are widened beyond the campus by a wealth of trips and expeditions, either to enhance academic learning or for sheer enjoyment and shared experience. Art is inspirational and highly valued at Bishop's Stortford College and we believe that the development of creativity as well as visual awareness is an essential part of growing up. 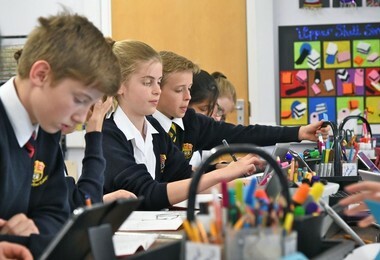 Children from Lower Shell to Upper Third (Years 3 to 8) are taught by specialist art teachers in our two light, spacious and incredibly well resourced Art rooms. 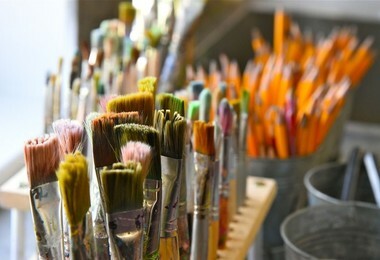 The Art rooms are a wonderful space to work in and the children are eager to participate in activities, both inside and outside of class time. 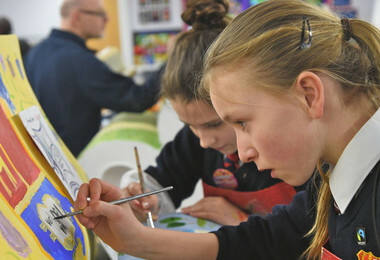 The children work in a variety of media - painting, drawing and sculpture as well as developing projects in ceramics, textiles, print making and design. We visit galleries and exhibitions to gain a wider understanding of art history and technique. We also take part in national art competitions, and much of the children's work is on display around the school. 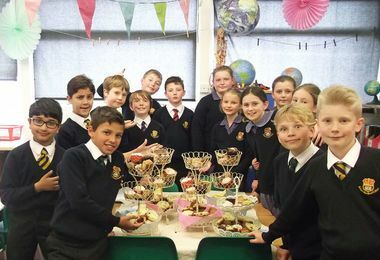 An annual Fashion Show for the Upper Third (Year 8) is held in the Autumn term along with a combined exhibition of pupils art work which is held in the Summer term. 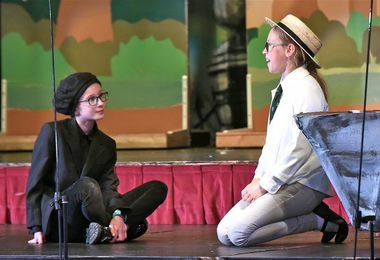 Drama at Bishop’s Stortford College Prep School embraces everyone. Every term guarantees fun and excitement as each year has an opportunity to create, rehearse and perform their own production. 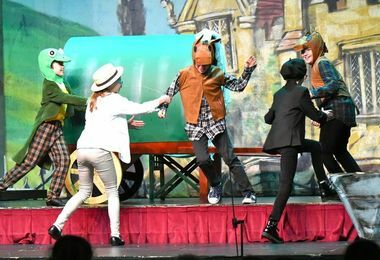 We hold one or two productions per term, varying in content – from the dark, mysterious tales of Brothers Grimm to a Lower Shell twist of Snow White, ditching her dwarves for jockeys! 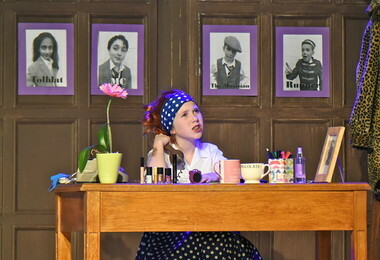 Children have the fantastic opportunity to get involved in so many aspects of theatre – stage management, props, sets, music, sound effects, video displays and lighting to acting, singing, dancing and performing. 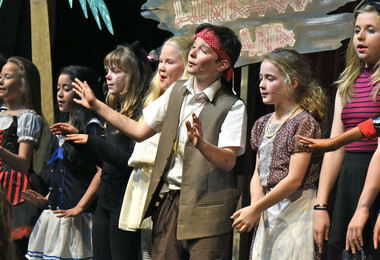 If watching shows and performances is more your thing, we regularly organise theatre trips, workshops and many more exciting drama and theatre based activities throughout the year. Our aim is to provide the very best in music education for all our students, whether they are starting out in the Pre-Prep at age 4 or studying A level at 18. As an all-through school, there are numerous occasions for our younger musicians to learn from, and be inspired by, Senior School pupils, many of whom have reached a very high standard of musicianship. Each year a number of our pupils audition for places in both county and national ensembles. We have recently had two pupils secure places in the National Children's Orchestra. Pupils are encouraged to join one or more of our numerous ensembles as soon as they are able. All pupils are provided with the resources and the encouragement to develop their musicianship giving them skills and experiences which we hope will stay with them throughout their adult lives. 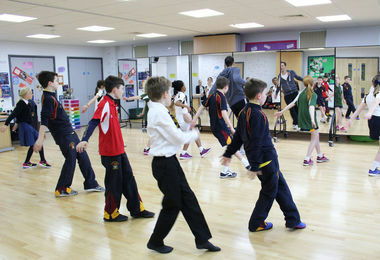 With a large staff, excellent facilities and equipment, an enthusiastic atmosphere and numerous opportunities to take part in making music, a large proportion of pupils are involved in some kind of musical activity and there are many opportunities for individuals and groups to practise and perform. All our 7-10 year olds experience a two-weekly cycle of instrumental lessons in small groups to enable them to experience many different instruments. 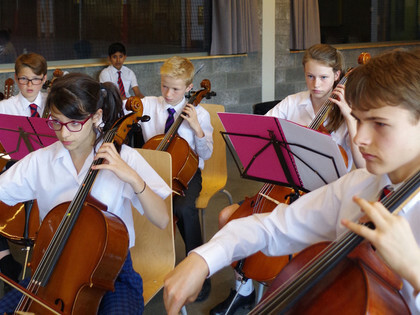 Each pupil can then specialise in one instrument before joining a large ensemble from Form 1 and 2. There are priority rehearsal times for the main choir and orchestra and the Shell Choir also rehearses once a week. Over half the boys and girls are involved in the two choirs and a similar number are learning musical instruments on an individual basis. It is usual for there to be numerous concerts, for children of all ages and experience, during the year, as well as three Carol Services for which we fill the College Memorial Hall. The Prep School has at least one music tour each year, usually two. The aim of our tours is to provide further incentive to the pupils to press forward with their music and to provide opportunities to enjoy playing or singing together in exciting places and at high profile events. 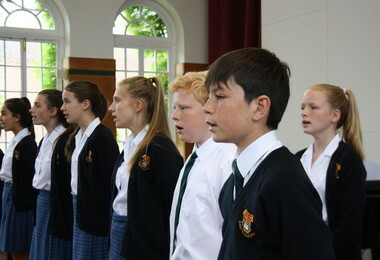 Tours have included Salzburg (PrepSchool Choir 2012), Venice (a regular destination for our most senior Prep School Choir), Belgium and Normandy. In the academic year (2012 - 2013) the Years 7 and 8 choir enjoyed a tour to Salzburg with a programme of Christmas music. The musical highlight was a concert in the magnificent Cathedral. The Prep Strings and Wind Ensembles have also visited Belgium, performing in a school and in the town square in Blankenburg. 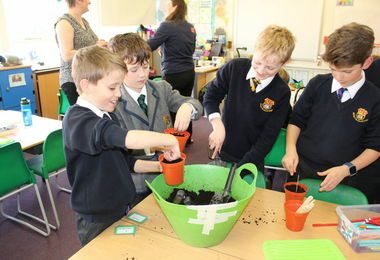 In Shell, on Wednesday afternoons, pupils have the opportunity to take part in an array of activities. The Lower Shell pupils participate in crafty creations, cooking, golf, sports focus practising ball skills, and Science Fun investigating making things move. All Upper Shell pupils are involved in a five week activity wheel, where they get to experience a range of activities. Three groups travel to Harlow Outdoor Activities Centre and participate in archery, open boat canoeing and rock climbing. The other groups are based on campus and take part in Cycling Proficiency course and a French activity. 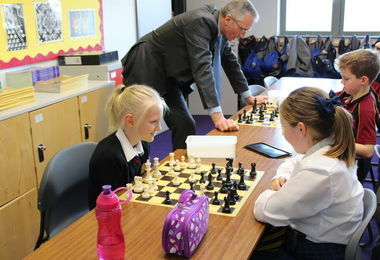 The College has a strong Activity Programme operating twice a week for pupils in Form 1 and Form 2 and once a week for the Lower and Upper Third. 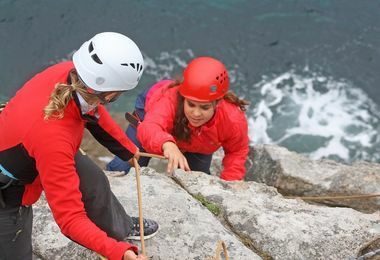 The Programme enables pupils, through active participation, to experience a wide variety of differing extra-curricular activities aimed at broadening their experience and developing new interests. An important aspect of the Activity Programme is the social opportunities that it creates for the pupils. For the lower Third and Upper Third the activity groupings are selected across form groups within an academic year, for Form 1 and Form 2 activity groupings are selected across form groups within an academic year and then across year groups thus creating the junior activity groupings. At present there are sixteen Junior, ten Lower Third and ten Upper Third activity options, each involving groups of up to twenty pupils. The activity options include both academic and non-academic subjects, and several sporting options, all of which can serve to enhance the core curriculum. The Programme operates on an eight week cycle for the junior activities and a six week cycle for the Lower and Upper Third options. There are a wide variety of trips organised during the year to reinforce the subjects taught and allow children first-hand experiences and interaction with specialists. 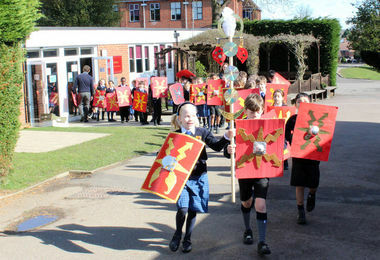 In the Autumn term, Lower Shell pupils visit The Verulanium Museum as part of their History study of the Romans and are visited by the Raptor Foundation, who bring in various birds of prey, especially a Barn Owl that links with their study of ‘The Owl who was afraid of the dark’ in English. In the Spring term, Viking visitors invade, creating an exciting, fun-packed day of exploration and the children visit The Fitzwilliam Museum to learn to read paintings, supporting literacy and art. 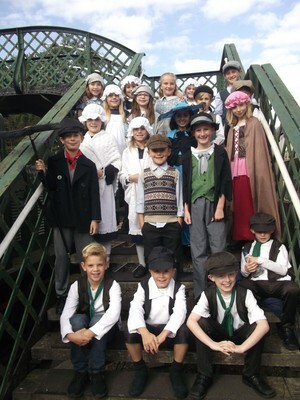 Upper Shell have the opportunity of dressing up for The Colne Valley Victorian Day Experience, where they take part in a Victorian school, a Music Hall concert and ride on a steam train. With their study of the Tudors, Upper Shell visit the magnificent Westminster Abbey to see the tombs of Tudor kings and queens, and explore The National Portrait Gallery to research Tudor portraits by artists such as Holbein. With their Norman topic, Upper Shell pupils visit Stansted Mountfitchet Castle to discover what life was really like. 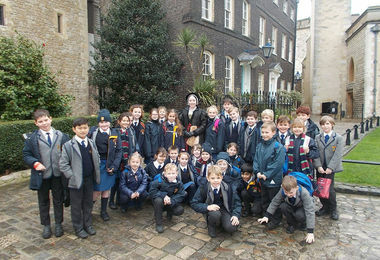 There are also visiting authors and theatre groups each term and theatre trips out. Recent trips include, Horrible Histories Awful Egyptians and Rotten Romans; Mary Poppins; Wolves in the Walls; Watership Down; Philip Pullman’s The Firework-maker’s Daughter. There is a wide variety of trips organised during the term to places of interest, together with evening visits to London and Cambridge theatres which are also enjoyed by parents and staff. Each term, there is a lecture, or visit by a company of actors or musicians. 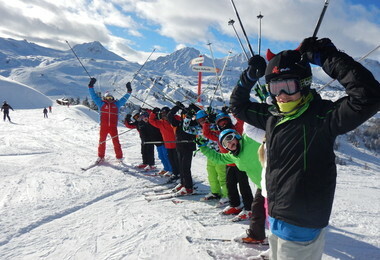 Also Skiing, Adventure, French and History trips and expeditions, organised by staff during the school holidays, are always popular.